Spice up your breakfast Mexicana style! A classic Mexican comfort food, Huevos a la Mexicana in its basic form is simply scrambled eggs with diced tomato, onion and jalapeños. 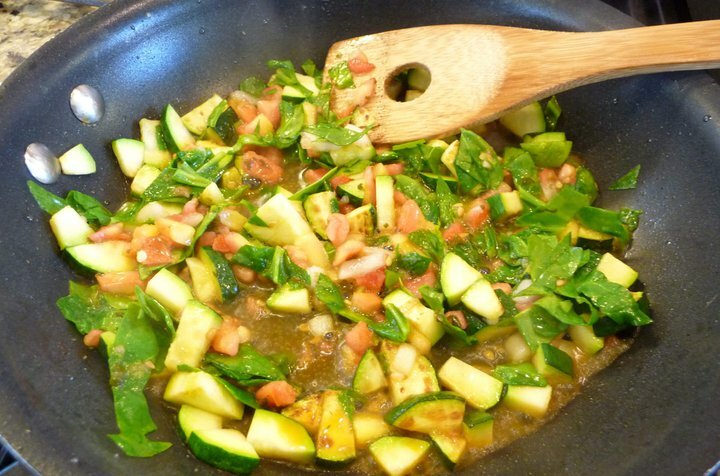 Our favorite twist includes fresh chopped sautéed zucchini and spinach for added nutrition and flavor! 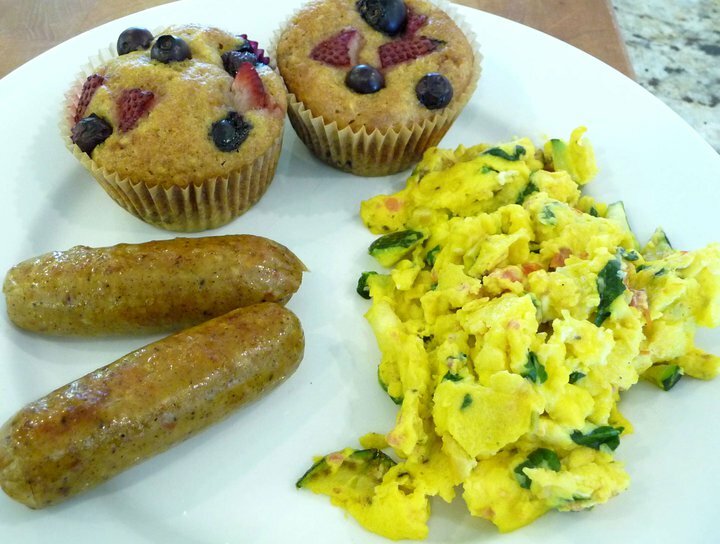 Pair this delicious egg dish with a side of GF mixed berry muffins and some nitrate-free sausage links or turkey breakfast sausage patties for a healthy and tasty way to start the day! Heat skillet over medium heat. When hot, add olive oil and diced zucchini. Saute zucchini until it begins to soften. Then add chopped spinach, pico de gallo and butter. Allow to simmer about two minutes. Then add scrambled egg mixture. Sprinkle top with a few pinches of salt and ground pepper. 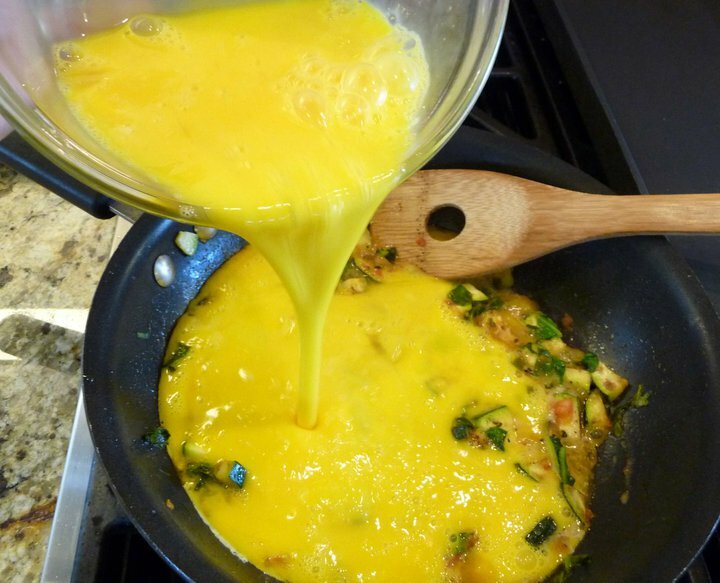 Using a large spatula, stir and turn egg scramble until cooked through (about 3-4 minutes). Serve immediately. Top with a dollop of cultured sour cream and additional pico de gallo, if desired. 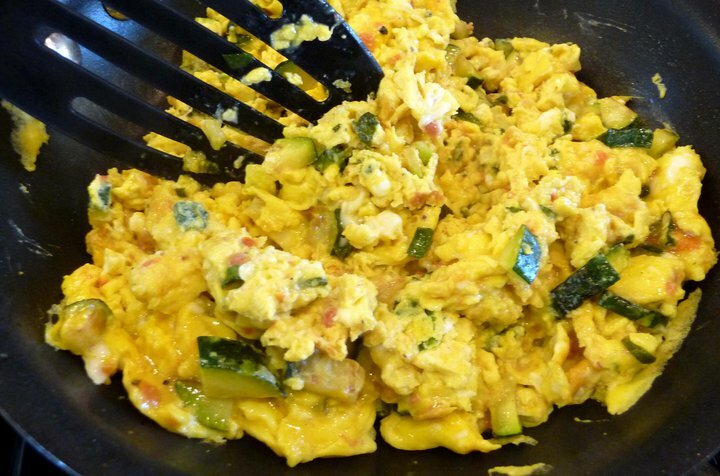 Using a large spatula, stir and turn egg scramble until cooked through (about 3-4 minutes). Top with additional pico de gallo, if desired. Having this for dinner with your French Toast Casserole and homemade sausage patties. So nutritious and delicious! Made this tonight with a few tweaks. 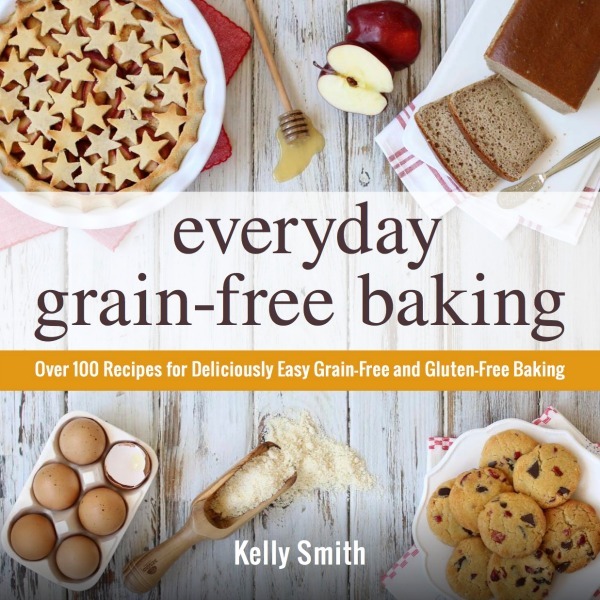 Instead of 2 tbsp water, I used 1 tbsp water and 1 tbsp buttermilk. I added 1/2 c baby bella mushrooms to mixture. Finished with a tbsp or so of shredded raw milk cheddar. Served with 2 apple/chicken sausages. Delicious!